PigCHAMP will work with Windows 10 - but there are a few things you should know before you upgrade to Microsoft's newest operating system. Complete instructions are found on PigCHAMP's online support page. If you need further assistance, please contact our helpful customer support team. PigCHAMP is the most widely used swine management tool in the world, with customers in more than 40 countries world-wide. Our products are sold and supported by a global network of agents and distributors. 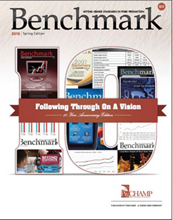 In the 2015 edition of Benchmark Magazine, Gangpu Lee, PigCHAMP agent and Managing Director of Osborne Asia, writes about the Changing Landscape of Pork Production in China. As the Asian market continues to consolidate and grow, so does the demand for management tools such as PigCHAMP software. In 2015, we have welcomed our first customers in Vietnam and Sri Lanka. PigCHAMP, in partnership with Farms.com, hosts a Swine TV YouTube channel where we post helpful how-to videos, product information and industry commentary. 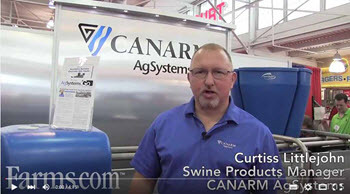 In this video, Curtiss Littlejohn from Canarm AgSystems discusses The Value of CANARM Automated Sow Feeders And Data Integration.